thanks for a good item and trouble free tranaction. Outstanding seller. Speedy delivery, very friendly 5 STAR trader. Received with thanks..very prompt ! Thanks..
Obviously one of the best albums every made. CD was well wrapped in good condition. 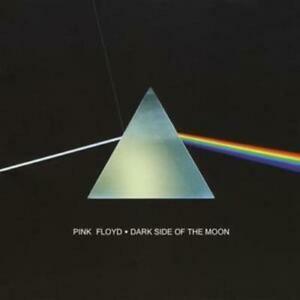 Dark Side of the Moon makes you glad to be alive. It is a vital part of anyone's music collection. I have had it on cassette for nearly 30 years but had to have it in a format I could listen to while driving. I originally bought a vinyl copy of DSOTM in the 70's, and nearly wore it out listening to it. This CD was a Father's Day present from my daughter to replace the one that she thinks she lent to a (now ex-!) boyfriend. Despite having been married nearly 28 years, it also led to a recent marriage proposal from an (almost) complete stranger (and allegedly a family friend of Robert Plant). I was at a business function and was talking about music, and she asked me my favourite album of all time. When I said DSOTM, she grabbed my arm and asked if I would marry her! There were some delivery issues with the CD, so it arrived long after Father's Day, but is one the of the ultimate prog rock albums and should be compulsory listening to music fans of all genres. It is now 40 years since I bought the original, and the line 'and then one day you find 10 years of got behind you, no-one told you when to run, you missed the starting gun' now has added poignancy. Or does that sound pretentious? At the end of the day, it should be remembered that there is no Dark Side of the Moon really, as a matter of fact it's all dark. Very good condition, my son is happy with it. I bought as part of a gift for a friend so played it to check if the cd was in good order.It was perfect 😊 thanks!